I'm excited to show you another quick project using a spaghetti jar. Whenever I empty a glass jar it's hard for me to just toss it in the recycling bin. I had a few birch bark sheets leftover from a previous project that I used to wrap the jar with. I used my glue gun to attach the sheet to the jar. Then I found a couple images online for inspiration. 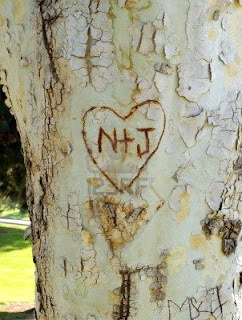 Using my knife, I "carved" mine and my husband's initials into the tree bark. reuse an empty spaghetti jar and turn it into a cute flower vase! how cute is that!!!! I have been using a lot of cans for vases.. (like apple pie filling cans etc) ~ It is such a great way to recycle!!! Love it Brandi - what a great idea!!! That is VERY cute! I love it. I love reusing jars! This is a great idea! That is beautiful Brandi, I love it!! I had no idea that they had bark sheets. That is so darn cute!! I could use that for a centerpiece for my upcoming anniversary!!! Love it!! I love this Brandi, I've been looking for birch bark for a Christmas project, where did you find it? I haven't seen it in my local craft stores. You and your hubby's intitals on the vase is such a sweet touch. Super cute! I love it. I think Im going to have to find some birch bark sheets now. 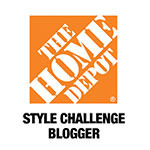 I showcased you on my blog today. Please check it out. Cute idea! You are the QUEEN of repurposing! I love these- so cute and easy :) I have a few, even made mini ones and put candles in them! So cute! Where did you get the birch bark from? I actually have something similar pinned on Pinterest but your idea seems much simpler and looks just as good! oh my gosh, that is stinkin' fabulous! i love that look, it's so romantic. where does one get birch bark from? i have these dressing jars that i have been holding onto for ages since the shape is so neat. it's about time i DO something with them! btw, officially your newest follower. holla! Hahahah! I should have known this was you! I saw this on TT&J and had to come check it out. This is such a great project--L.O.V.E.! You always come up with the cutest ideas. I love this! I didn't know that you could buy birch bark sheets. I guess I don't get out much, do I? I will be thinking twice before I send any more jars to recycling. Hope you have a great weekend! That is so cute and clever idea Brandi! Love the way this came out!! So cute!!! I am visiting from Tatertots and Jello and I am a new follower!! Also, I would love if you would come link this up to my Delicately Constructed Friday party tonight or tomorrow! Hope you are having a great weekend and I see you around soon!! Super cute! I save almost all my sauce jars for some project or another - I'll have to try something like this! This is super cute! I am always trying to figure out what to make with my jars! I would love for you to link up your jars at Savvy HomeMade Monday! Oh, how sweet! What a romantic you are! Is it just me or can you see these beauties as centerpieces at a lovely fall wedding? What an awesome idea! That looks so cute! We would love for you to share this at our link party and come enter our free digital scrapbooking software giveaway! That is such a fantastic, creative idea. Love it! you are so creative girl!!! Oh my goodness -- how clever to carve your initials into it! Great project! I found you on Addicted 2 Decorating. Excellent way to recycle. I definitely got to try it, so I'll be following you and report back to show it off later. Thanks for sharing. Como é romântico!!! Ficou muito original! beijinhos Brandi, você realmente é bem criativa. Your spaghetti jar was featured on my blog http://decoratingwcents.blogspot.com/2011/08/paint-your-glass-vases.html. Love them & thanks for sharing. Absolutely too darling, Brandi! Thanks for the deco idea . 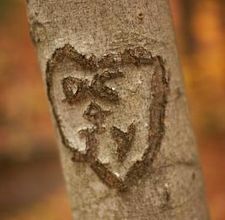 . . it brings back memories of actually carving a love heart/sentiment on a tree! You did a fantastic job! Don't you just love reusing glass jars! This is so good Brandi. I am a big supporter of reusing glass jars and I used them to make lights. Im giving you the link, as its an old post. Wonderful idea. I have a stack of jars I am saving and this is so cute. Thanks for sharing at Hows To's Day! 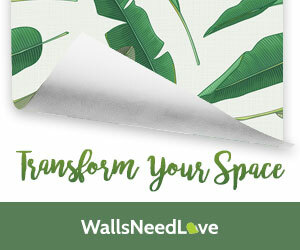 Brandi: I just found birch bark sheets existed--yet WHERE do you get them? I had to google to find what a birch tree looked like. What I have are Oak trees in my yard? 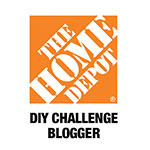 I would like to try them out--on jars and terra cotta pots! Very sweet tribute to your relationship. Can imagine pulling out this vase each time you get flowers on your anniversary. This is a wonderful idea! What a great way to re-use and recycle--and how wonderful to add the tribute to your relationship with your spouse. Thanks for sharing this! I so LOVE this! where do you find birch bark sheets? ?